The Black Friday Deals are LIVE and Amazon has this KitchenAid Artisan Mini Series Tilt-Head Stand Mixer on sale for $159.95 Shipped (Retail $250). There are three colors to choose from at this price. Mighty Power. Mini Footprint. 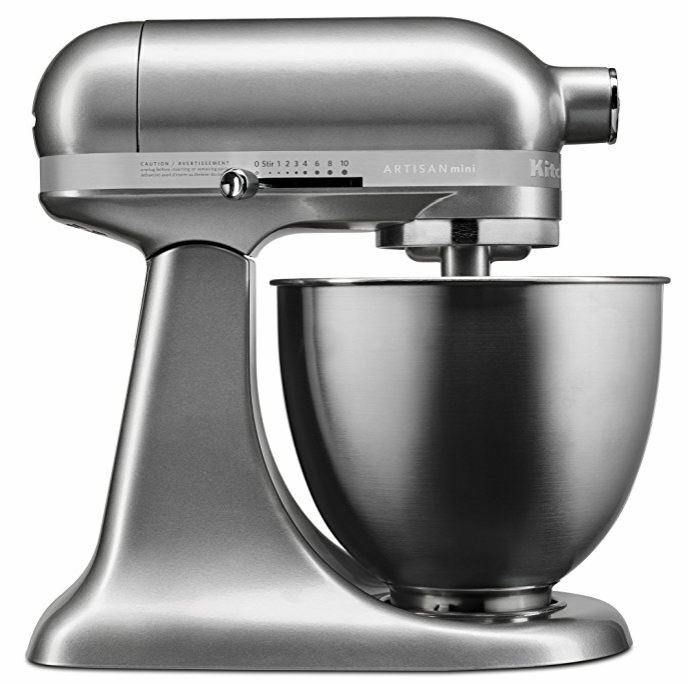 The Artisan Mini stand mixer makes up to 5 dozen cookies in a single batch, with the same power as the Classic KitchenAid stand mixer while being 20% smaller, 25% lighter, and fitting all attachments*. With colors from bold to understated, there's a Mini to match both your kitchen and your style. Shipping is free! Check out all of the Amazon Black Friday "today only" Deals HERE.